The Eagles will release a series of expanded 40th anniversary editions of their 1976 album classic, “Hotel California”, on November 24. With more than 32 million copies sold worldwide, the project ranks as one of the best-selling albums of all time. The record – which delivered two US No. 1 singles (“New Kid In Town” and the title track) – topped the Billboard 200 for eight weeks and won two Grammy Awards. The “Hotel California: 40th Anniversary Deluxe Edition” is a new 2-CD/1-Blu-ray Audio package that includes remastered sound, ten previously unreleased live recordings from the era, as well as hi-res stereo and 5.1 mixes. Presented in an 11 x 11 hardbound book, the set also features rare and unseen photos, a replica tour book, and an 11 x 22 poster. The Blu-ray Audio disc features the 5.1 Surround Sound mix originally released on DVD-A in 2001 along with a hi-resolution, 192 KHz/24-Bit stereo mix. The 40th anniversary set will also be available as a 2CD Expanded Edition and a single CD offering, alongside digital download and streaming versions. Following the 2016 passing of cofounder Glenn Frey, The Eagles returned to action this year with a new live lineup: joining Don Henley, Joe Walsh and Timothy B. Schmit are Frey’s son, Deacon, and country singer Vince Gill. The Eagles will launch a short series of fall US dates in Greensboro, NC on October 17. 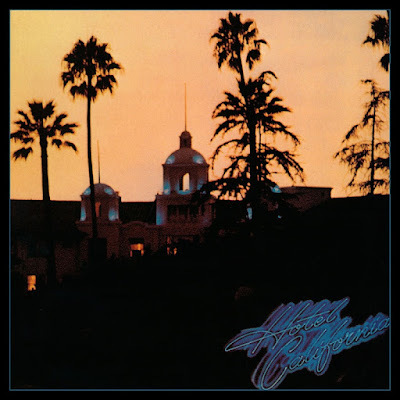 "Hotel California: 40th Anniversary Deluxe Edition"